Amazing Hue – 3 ideal places for history and culture seekers. Nestled in a nature oasis where is about 22km from Ho Chi Minh city. It is a great golf course where business meets leisure, near enough to easily reach the business areas of saigon and far enough to break out of the city’s hustle and bustle. Song Be Golf Resort has been designed out of the beautiful landscape and features numerous lakes, tree lined fairways and slightly undulating greens. The course is officially rated in accordance with the USGA/SGA (United States Golfers Association) requirements. The 27-hole course is divided into 3 great nines: Lotus, Palm and Desert. The beautiful lotus lakes provide a picturesque backdrop for this beautiful, yet challenging course. The varying slopes, strategically-placed bunkers, water hazards and scenic lakes make a round of golf on this course, not only a peaceful and memorable experience, but also will challenge golfers of any level. This 9-hole course features shimmering lakes, tropical sands and sloping greens. Palm trees, menacing bushes and narrow fairways are the main hurdles to overcome on this course. Treat yourself in this lush tropical landscape, while trying your luck on 9 of the most attractive holes you will ever encounter, and you will soon be transported from your busy everyday life. 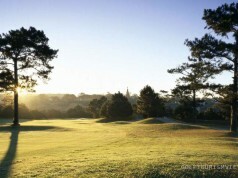 A majestic, must-play course for any golfer. This nine provides a challenge to the most experienced player by demanding not only length but accuracy. Beautifully landscaped with longer fairways, an array of complex bunkers , abundance of sand, dead trees and colors of varying desert rock and plant life makes this a highly stimulating course which is required a high degree of accuracy and forward-thinking from the golfer. Although dependent on the environment, golf courses are often criticized for their negative impact on their surroundings, the construction and maintenance of golf courses is harmful to fragile ecosystems the world over. Since the beginning of construction, the management always focuses on reducing chemical use and adopting best management practices can make golf courses playable and environmentally friendly. Song Be Golf Resort received many Certificate of Achievement for Chemical use reduction & safety; Certificate of Achievement for Environmental Planning; Certificate of Achievement for Water Conservation; Saigon Times Top 40 (2007) for “Sustainable Development”; Saigon Time Top 40 (2008); Saigon Time Top 40 (2009) for “Green Values”. The driving range features a two levelled-42 covered bays with a distance spanning 220 meters with various target greens from 50m to 180m indicated on each bay. The driving range is equipped with good quality range mats and rubber tees. 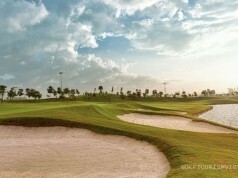 The course has four practice greens strategically located near the driving range and Club house. There are 3 designated practice greens for putting and one for chipping and green side bunker practice area where golfers can sharpen their short game skills. Address: 77 Binh Duong Boulevard, Lai Thieu, Thuan An, Binh Duong Province, Vietnam. Keyword: song be golf, song be golf resort. 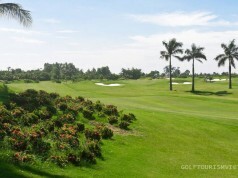 Vietnam Golf Tourism is a website dedicated to golf in Vietnam. As an official member of United Golf Services Company - UniGolf, Vietnam Golf Tourism was established with the goal of bringing Vietnam golf travel closer to tourists and golfers all around the world. 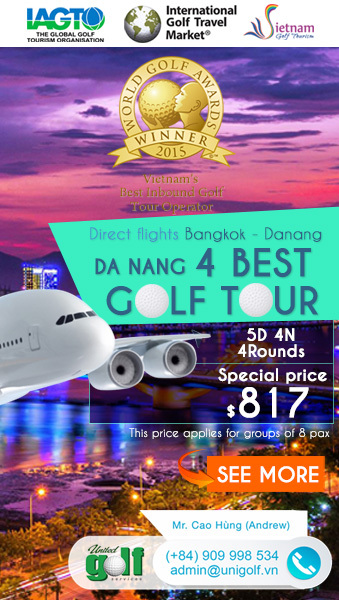 We are pleased to provide any information and advice about golf course, golf travel and golf tournament in Vietnam. 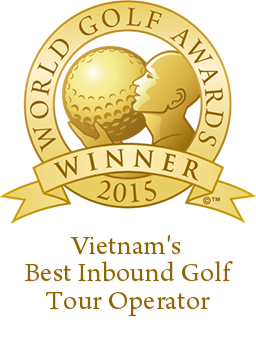 Let’s swing your club at the newest The Golf Destination of The Year – Vietnam.